The Windows 10 Fall Creators Update is rolling out to users. If you install it and encounter major problems, as some users have (especially owners of Razer laptops), you might want to go back to your previous version, and wait until the update is a bit less buggy. If you been using Windows 10 for a while, you’ll probably know how to do this, although the process may be slightly different to what you're used to. 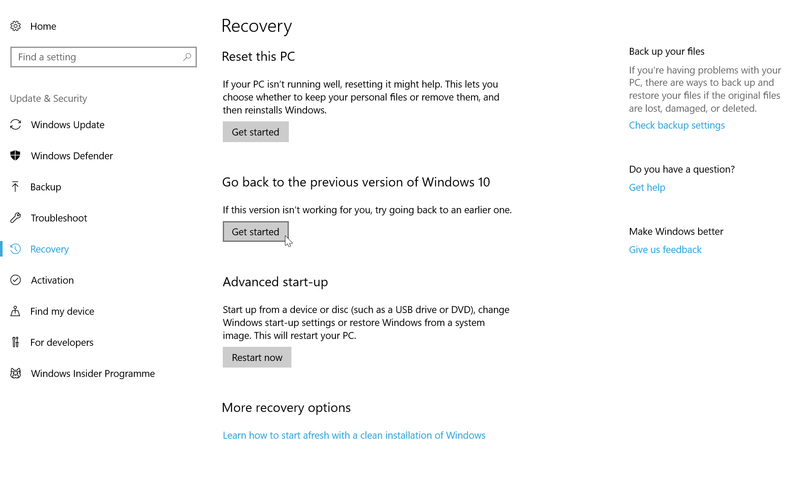 To uninstall the Fall Creators Update, go to Start > Settings and click on Update & Security. Provided you haven’t yet cleared up all the space used by the update, the rollback process will start. You’ll now be asked why you are going back to the previous build. You need to select a reason for the Next button to appear, and can also opt to tell Microsoft more about your reasons if you wish. Bear in mind, if you do revert to a previous build you may need to reinstall some apps and programs, and you will lose any changes you made to Settings after installing the Fall Creators Update. You’ll also be advised to backup your files as a precaution. Before you do go back to the previous version you’ll have the option to check for updates, just in case the problem(s) you’re encountering have since been fixed. 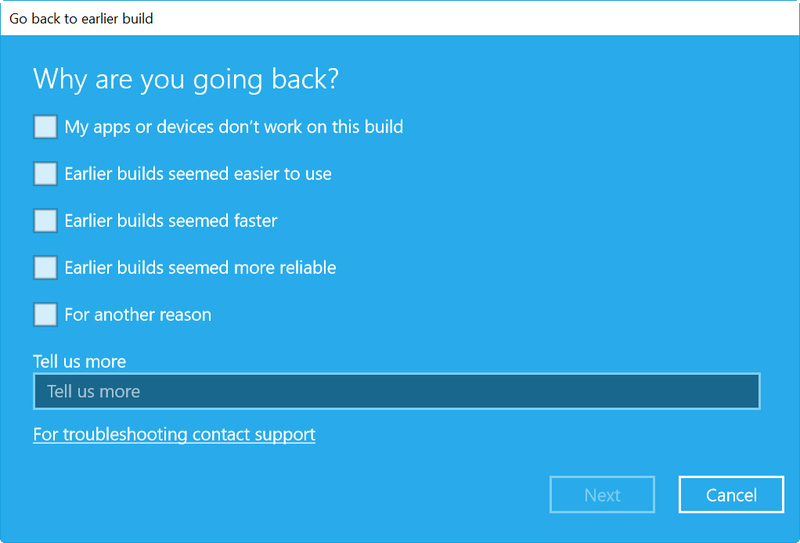 If you’re sure you want to remove the Fall Creators Update, click on the Go back to earlier build button and the rollback will begin. Just sit back and wait.